These UW Environment students represent many majors and areas of expertise. They’re excited to share their experiences with prospective Huskies, from how they chose UW and their major, to tips for navigating the university selection process. Get to know the ambassadors by exploring their profiles or search by interest areas. If you have a question for a current student, email our ambassadors. They will get back to you as soon as possible, but please allow 1-2 days for a response. 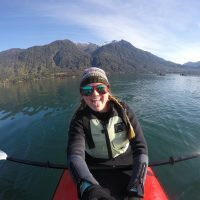 My experience at the UW and in the College of the Environment has definitely helped shape me into the confident student and peer that I am today. By having smaller class sizes in the College of the Environment, I have made friends for a lifetime and created relationships with faculty and my peers that benefit me both in and outside the classroom. When prospective students are considering studying the environment at UW I have two tips that I wish I would have known when I was once a prospective student; 1. Always be on the lookout for opportunities and take them when they present themselves, be it an internship or a research opportunity and 2. Don't be afraid to reach out to new peers to form study groups, odds are they are wanting friends to study with as well. Everyone that I have met at the College of the Environment is super welcoming and friendly! I come from a smaller high school and coming to the UW was frightening at first but I have found my community in the College of the Environment as well as in the Husky Marching Band so if you are musician you can ask me about that as well! Go Dawgs! Large-scale environmental issues are daunting to think about, but they’re what drew me to the environmental sciences in high school — I was particularly intrigued by these challenges, these issues, and how we might solve them. 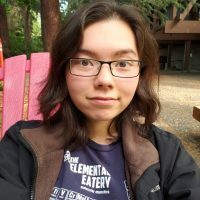 At UW Environment, I’ve learned more about becoming a “process engineer” or someone who identifies and troubleshoots current engineering challenges to create a solution for the future. I am also interested in epidemiology and forensics, so I’m working to complete the pre-health requirements in case I want to pursue that down the line. The biggest piece of advice that I have for incoming students is that it’s okay to not know what exactly you want. 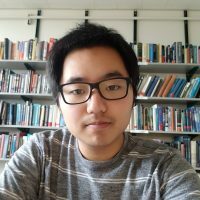 I dabbled in a bunch of different research experiences throughout high school and many student organizations at UW, ranging from a neuroscience club to a pulp and paper club. No matter where your interests lie, the College of the Environment can accommodate your desires and make a highly personalized educational experience for you. Studying at UW has opened my eyes to the environment’s complexity. I leave class feeling inspired and empowered to take positive action. In addition to what I learn in the classroom, the College of the Environment has given me an amazing community at UW. My best advice to prospective students is take classes that excite you. Outside of class I like to spend my time hiking, doing yoga, and practicing ballet. For as long as I can remember, I have been passionate about the ocean! In high school, I founded ReefQuest (www.ReefQuest.org), a nonprofit organization fostering marine environmental stewardship through citizen science. At ReefQuest, I conducted research studying physical and chemical oceanography, ecology and biology in Hawaiian coral reef ecosystems. As a result, marine research largely shaped my high school experience, and was a determining characteristic of my college search. 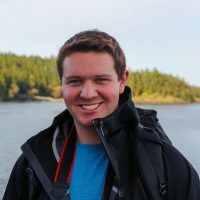 I chose UW College of the Environment because of its unique undergraduate research opportunities and incredible access to resources like Friday Harbor Laboratories, R/V Thomas G. Thompson, renowned faculty and more. I plan to double major in Oceanography and Earth and Space Sciences to study the interactions between planetary, physical and biological systems. As a Student Ambassador I look forward to helping prospective and new students navigate this process and discover all that the College of the Environment has to offer! Studying at College of the Environment has shaped me through the opportunities offered. 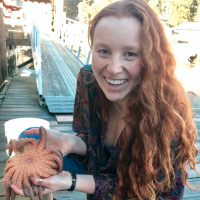 The ability to study marine biology at Friday Harbor Labs and to conduct my own research project as an undergraduate has shown me the importance of experience. Taking advantage of opportunities at UW Environment is key to helping you find your path while also building out your skill sets. I'll always be happy to talk about what you’re passionate about and how to achieve your goals at UW. 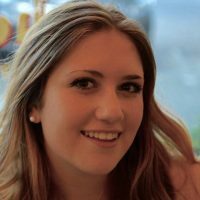 Through my experience as a UW Leaders Mentor, FIG Leader, Dawg Daze Mentor and Orientation Leader I have interacted with students across campus and can help answer any questions you might have, so please don't hesitate to reach out to me. Go Dawgs! Before enrolling in college, I had lived my entire life abroad. Finding my place in a new school, city and country was daunting. Because of this, I’m grateful for my major and the College of the Environment for giving me a sense of community at UW. It’s eye-opening to be surrounded by people who are so knowledgeable about and in love with our natural world. 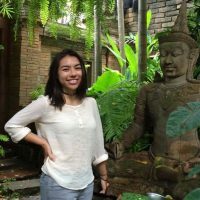 Feel free to contact me about my experience changing majors, finding an undergraduate research position, or moving to America for the first time! If you'd asked me as a high school senior what I wanted to study in college, I'd have told you, "some type of engineering". After spending some time taking the prerequisite courses, I realized that engineering meant nothing to me without the "green factor", or the element of sustainability. 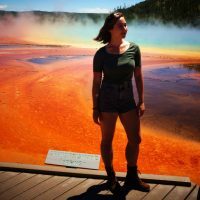 Joining the College of the Environment has allowed me to connect with other students, faculty, and alumni who are also dedicated to solving environmental challenges. 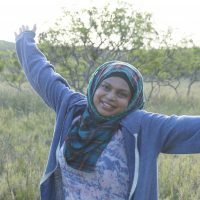 It has also given me a boost in my career growth, as I have been able to work in the Paper and Bioresource Science Lab as a student technician, as an environmental engineering intern, and lead a student club as an officer. I acutely remember feeling lost and overwhelmed before I finally decided on my major. My advice to prospective Huskies is to not let yourself get paralyzed by indecision, worry, or doubt. Focus on being your best self, and the rest will follow. 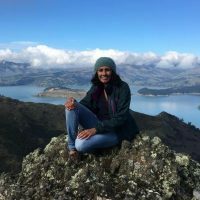 Growing up in the San Francisco Bay area, the diverse and beautiful ecosystems I was surrounded by cultivated a passion for the natural world at a young age. When I was applying to college, I knew I was looking for a university that pooled together these passions into a major and that would allow me to join a community full of students as determined and exited about life as I am. The University of Washington has given me this and more; the College of the Environment connects me with invested staff, courses that I cannot wait to add to my plan, and a community of individuals excited for the journey ahead. I have had the opportunity to spend a quarter at the UW Friday Harbor Labs facility on beautiful San Juan Island where I took classes (one class involved a research project focused on microplastics) and worked on CT scanning of fish species. The College of the Environment also connected me to my first job as a field technician on a Field Crew studying forest structure and biodiversity in post-fire regions in Eastern Washington. The opportunities to pursue fieldwork within this college are everywhere you look and students receive plenty of emails outlining opportunities to pursue this type of work. So if fieldwork is your cup of tea, let me know if you have any questions! On campus I have had the opportunity to work at the Burke Museum and the UW fish collection where I identify fish species and add them to the millions of specimens preserved in jars for the use of researchers around the world and UW students. Additionally I work in a plant microbiology lab studying the effects of different types of light on leaf growth. The rest of my schedule is filled with spending time playing for the UW Women’s Water Polo Club team and participating in my sorority just off campus. Please send me an email with any questions you might have about classes or life on campus; I would love to hear from you! I can genuinely say my time in the College of the Environment has been the greatest period of personal growth I've had during my time at the UW. I not only grew more confident with each decision I made, but I have explored and developed many of my interests in the college which has helped me focus on my desired career. I also have grown more aware of environmental issues around the world and the necessity to address these issues because they affect people without the resources to deal with them. My advice to students who are considering studying the environment is to talk to the departmental advisors in the College of the Environment and to try out the classes that sound interesting to you. There are a lot of overlaps between the fields which is extremely helpful in having freedom with your class scheduling. I also recommend talking to the professors about research opportunities. There are a plethora of these opportunities throughout all the departments because of the vast amount of information we do not understand about our world. Research will more than likely be the most helpful and informative experience you can have as you decide on where you would like to take the next step in your future. Also, school in general can be overwhelming but there are a lot of resources to help you with that so be sure to take advantage of them. When I was is in middle school, I was enchanted by earthquakes, volcanoes, and all the other geologic phenomena I saw on TV. However, I did not have any friends or classmates who were interested in learning about the environment, let alone geology. At UW I was surprised to find the College of the Environment, a community of like-minded students dedicated to learning about and protecting the environment. The College of the Environment is distinct in that it is composed of a tight-knit group of enthusiastic students and faculty with the resources of a major research institution. The college has provided me with access to the many unique laboratories that perform relevant and intriguing research. It has also allowed me to find counsel from faculty who could advise me on my career path. Most importantly I was able to make friends who didn't take my passion for geology for granite and were my rock through all the highs and lows that come with college (they also tolerated my puns). The support of this community is what got me through college and made me feel as if I have made the most of my time here. I hope that every student coming to UW receives this support and I can recommend no better place to receive it than at the College of the Environment. As a student ambassador I hope to be a part of this support network. Whether you are interested in majoring, minoring, taking a class or are just interested in the College and have a question feel free to contact me! I'm also involved with student organizations within and outside the College and understand the difficulty in balancing school, clubs and a social life. 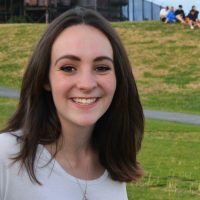 The Program on the Environment has been a great fit for me because I've been able to explore interests across dozens of departments while working toward my major. I've found interests I never knew I had in environmental policy and economics and met so many inspiring professors and friends. The professors tend to be the type of people to inspire you, which was exactly what I needed when I took my first class about climate change two years ago. My advice to prospective students is to take classes that interest you, talk to the professors about more than just your grade, and get involved--join a club with a mission you care about. I've met most of the environmental student organizations and some friends and I decided to start our own called Global Sustainability Initiatives. I'd be happy to tell you more about it or help you get in contact with other students doing amazing work outside the classroom. I can also answer general questions about UW, or any weirdly specific questions about environmental economics or backpacking equipment. UW Environment has empowered me to pursue what I am passionate about — protecting this beautiful planet and people who call it home. I feel welcome in this close community of brilliant, diverse students, advisers and faculty who all work to lift each other up. Through these connections, opportunities are endless. At the College, I’ve grown into an active environmental advocate, citizen, scientist and volunteer. 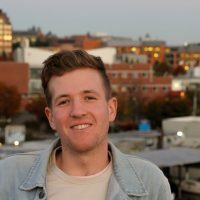 If you want to study the environment at UW, talk to people in the program and get involved. Your advisers are your best resource. They know the programs better than anyone. 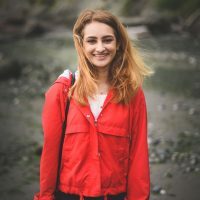 Students and faculty are also outlets by which you can get involved — whether that means volunteering on campus or in the Seattle community, studying at Friday Harbor Labs, or leading an environmental education program with the Pipeline Project. These are some of the ways I have already engaged with environmental science in the real world. 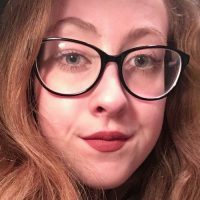 I am also the volunteer chair of the UW Sea Dawgs, the student marine biology club, and am active in the dance department; if there’s an undergraduate dance concert, it’s likely you’ll find me on the stage. I also love to get outside as much as possible and enjoy Washington’s landscapes through hiking, kayaking, bird-watching, swimming and photography. I completed my SCUBA certification in Kauai and look forward to someday diving in the Puget Sound. UW students are passionate about everything they do. At the College of the Environment, my peers put their hearts into what they study because they believe in the purpose of what they’re doing. Our excitement grows through collaboration and sharing ideas. In my time at UW Environment, I’ve felt valued, respected and poised to make change and my resolve to pursue what I feel called to study has grown. Prospective students should choose a path they genuinely feel called to pursue. It won’t be easy, but your passion will carry you through any obstacles you face in your studies or your career. Also, don’t worry if your path isn’t linear; things will work out if you trust your gut. I am involved in TEDxUofW, UW Honors and Greek life. During the summer, I’m a camp counselor or enjoy traveling with family. You can find me in a hammock, hiking or spending time outdoors with friends. Fun fact: I’ve been inside a volcano. Through the School of Aquatic and Fishery Sciences and Program on the Environment, I'm able to take courses on both aquatic life and the management policies that impact it. Outside of the classroom, I conduct research on waterborne parasites and angler movement of invasive species in the Wood and Olden Labs. Thanks to the support of my faculty advisors, I've spent the past two summers working as a field technician on the Senegal River in Africa and on high alpine lakes in the Cascades. There are many reasons to love UW Environment, but our community of students, faculty and staff is the core. Small classes and interactive experiences through field trips and guest lectures made it easy to find my place within UW. As an aspiring graduate student, I know the research opportunities here will prepare me well for running my own projects in the future. I love living in the Northwest — Seattle is a gateway for getting outside, and there are tons of student organizations and resources for transportation and gear. When not on campus I can be found skiing, backpacking, kayaking or playing the ukulele in one of the city's many green spaces. The College of the Environment has a broad range of majors and programs that provide opportunities to make a difference. In just one year, the College has provided me with a way to study my passions and even do a little research. The advising team is very supportive and made me feel welcome at UW. Prospective students, make sure to find what you're passionate about and pursue those dreams! Take classes that sound interesting and load up your resume with extracurricular activities that bring you real-world experience. More questions? Just want to hear random things about fish? Please feel free to contact me! 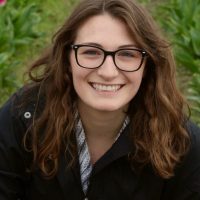 Being a part of the College of the Environment has already given me so many opportunities to learn from and connect with my peers, advisors, and mentors. Coming into college, I knew I wanted to study environmental science, but I didn’t know what I wanted to focus on. 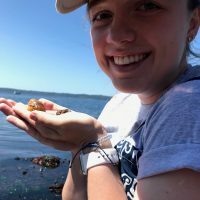 The broad range of majors that the College of the Environment offers allowed me to explore my interests and choose the majors that were right for me. This year I was also able to get involved in undergraduate research with the Glaciology group in the Earth and Space Sciences department. College of the Environment students are driven, passionate, and excited about what they’re doing, and this is what makes it such a great community. Prospective students, I encourage you to take classes that interest you and excite you, even if it’s something completely new or different. Reach out to your peers and faculty members, they are a great resource and want to support you. Feel free to contact me, I’ll be happy to talk more about my experience at UW and in the College of the Environment, or any other questions you may have!